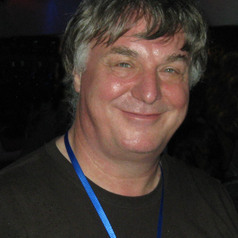 Ray Norris is a British/Australian astronomer in the School of Computing, Engineering, & Maths at Western Sydney University, and with CSIRO Astronomy & Space Science. He researches how galaxies formed and evolved after the Big Bang, and the process of astronomical discovery with large data volumes. He also researches the astronomy of Australian Aboriginal people. Ray was educated at Cambridge University, UK, and moved to Australia in 1983 to join CSIRO, where he became Head of Astrophysics in 1994, and then Australia Telescope Deputy Director before returning in 2005 to active research. He frequently appears on radio and TV, and has published a novel, Graven Images.